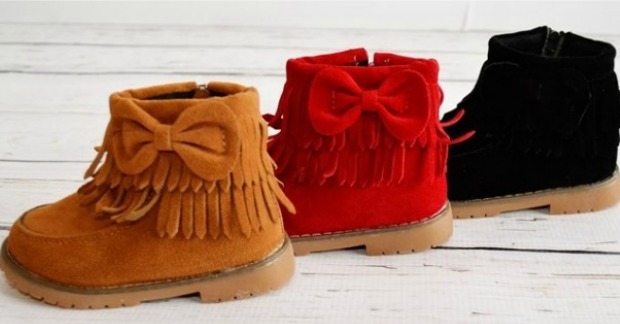 Girls Ankle Boots Just $9.99! Down From $38! You are here: Home / Great Deals / Girls Ankle Boots Just $9.99! Down From $38! You can get these cute boots right now for just $9.99 – down from $38! But, they are only at this price until the 27th! If you’re looking to stock up for fall or winter, now is your chance! Take advantage of our season blow out and grab these boots at the lowest price you’ve seen! Stick them away for later in the year or give them as a baby shower gift. They are made of a faux suede material and have durable rubber sole.